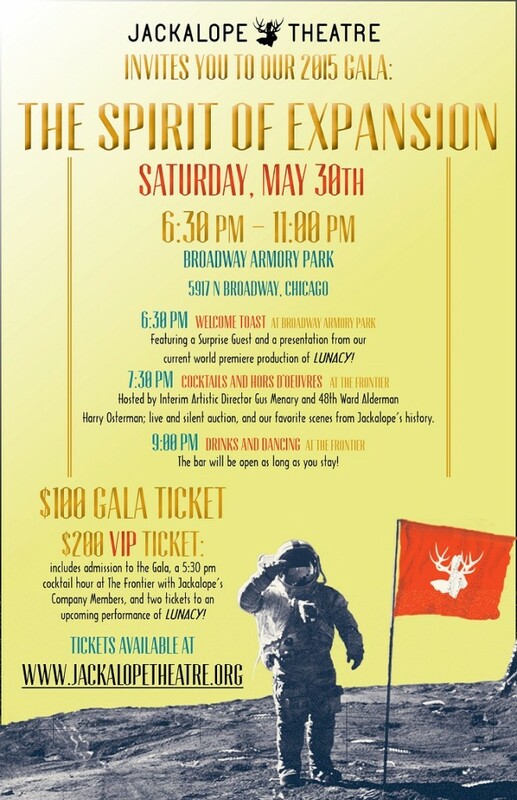 Jackalope Theatre Company, a collective founded and led by Columbia College Chicago Theatre Department alumni, will unveil plans for its 2015-2016 season at its benefit gala “The Spirit of Expansion” on Saturday, May 30, at Broadway Armory Park, 5917 N. Broadway in Chicago’s Edgewater neighborhood. The event begins at 6:30 PM. The evening includes a cocktail reception hosted by 48th Ward Alderman Harry Osterman, scenes from Jackalope’s current production Lunacy! (A Cryptohistorical Comedy) and previous shows, live music by Evan Swanson’s 4-Piece Jazz Band, dancing and an open bar. For tickets to “The Spirit of Expansion,” click here. Tickets to “The Spirit of Expansion” range from $100 for regular admission to $200 for “VIP Tickets,” which include a pre-gala cocktail reception at Jackalope’s other space, The Frontier, located at 1106 W. Thorndale, a block away from Broadway Armory Park. 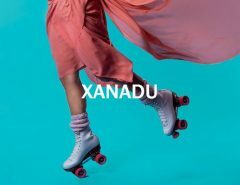 VIP Tickets also include two tickets to an upcoming performance of the company’s current world premiere of Andrew Burden Swanson‘s new play Lunacy! (A Cryptohistorical Comedy). Directed by Gus Menary, the play is a political satire inspired by conspiracy theories that the 1969 moon landing was a hoax. The show runs through June 20. Both Swanson and Menary studied at the Columbia College Chicago Theatre Department. 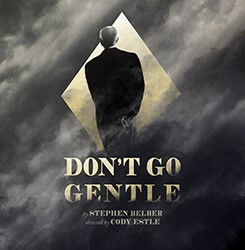 Other Columbia College Chicago alumni involved in the show include cast members Pat Whalen and Kaiser Ahmed; lighting designer Claire Sangster; dramaturg J. Cody Spellman; and technical director Alex Hand, a graduate of Columbia College’s film program. For tickets, click here or call 773-340-2543. Jackalope was founded in 2008 by a group of Columbia College Chicago Theatre Department students as an outgrowth of a class assignment to create a fictional theatre company. The project went so well the students decided to make their project a reality, and the company is now gearing up for its eighth season. Jackalope is celebrating its recent selection as the winner of the 2015 Broadway In Chicago Emerging Theatre Award, established to encourage, support, and promote young theatres in Chicago that have demonstrated great ability and promise, artistic excellence, and fiscal responsibility in business practices. The award marks Jackalope as an ambitious, high-quality, and success-focused ensemble with steadily rising recognition as a leader in Chicago’s cultural scene. Jackalope also recently received an exciting gift of free air conditioning for its space in Broadway Armory Park, where Jackalope is a professional company in residence. The San Antonio-based Friedrich company, which manufactures air conditioners, has donated two ductless split systems to the group. Jackalope’s 2014 production Exit Strategy has been nominated for several Joseph Jefferson Awards for excellence in non-Equity theatre, including Production of a Play, Direction of a Play (Gus Menary), Ensemble, and New Work. 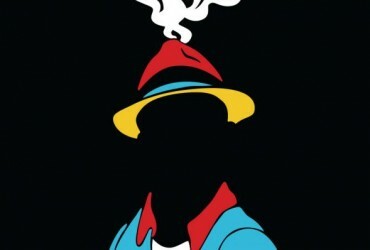 The Jeff Awards will be presented Monday, June 8, at Park West, 322 W. Armitage, in Chicago’s Lincoln Park neighborhood.